Do you feel like your lawn has seen better days? If the grass really is greener on the other side of the fence, don't fret. Almost any Arizona sod lawn can come back to life with a little help. Before you can revive your lawn, you need to understand what's causing its stressful disposition to begin with. Read on to learn more! If your grass is known to be less than luscious, look past the surface. More than likely, the root of your problem lies in the soil below. Keep in mind that timing is of the essence when you're trying to revive your lawn; if you wait too late into the year, your efforts will likely be an exercise in futility, as the heat from the summer can wreak havoc on horticulture. Late winter and early spring offer the perfect opportunity to assess your soil's needs so your lawn can flourish and grow as summer approaches. For starters, make sure you have soil. Here in Arizona, it's not uncommon to see gravel yards or find that grass is rooted by rocky terrain. If this is applicable to your area, too, it's time to toss down some topsoil. To keep your grass healthy and happy, you'll want to shoot for a layer of topsoil that's around six inches thick. This dark, loose matter is made of decomposing organic compounds, which feed the grass and provide it with nutrients necessary to grow. Many lawn problems begin to occur as time compresses the soil underneath the grass. The more compact the under layers become, the less the grass is capable of receiving nutrients. The grass' roots and the ecosystem's insects and microbes no longer have free pathways through which to create their healthy community. Aeration allows the ecosystem of your lawn to breathe, freeing up its ability to absorb nutrients that are vital to sustaining growth and health. Gasoline-powered aerators are generally user-friendly and not too difficult to work, but you should expect difficulty this time of year, as these little tools achieve high demand as spring approaches. Manual aerators are perfect for smaller spaces. Of course, landscaping companies are generally happy to come to your home and help, too. If your grass has patches of bareness, or if you're just not happy with its overall look, consider reviving your lawn by overseeding and watering it. 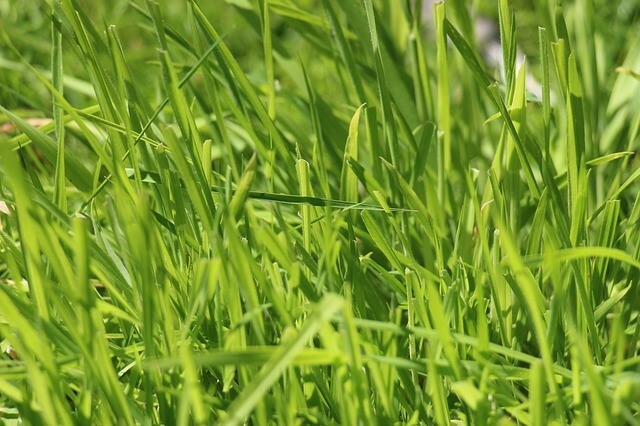 Find a species of grass that works well with your climate, and get those seeds down as early in the season as possible. Employ the aid of a tiller or rake to break up the top layer of existing topsoil, then work in a 1-inch layer of topsoil with the same tool. Top your new lawn concoction with a layer of pulverized lime. Evenly spread your grass seed across your lawn, and use a leaf rake to gently encourage it into the soil. The new seeds will need water. Hydrate your lawn in the morning, taking care not to over-water. The proper amount of water hydrates your grass while encouraging its roots to grow longer in search of more moisture.